Welcome to the Lake Community of Auburn Bay! 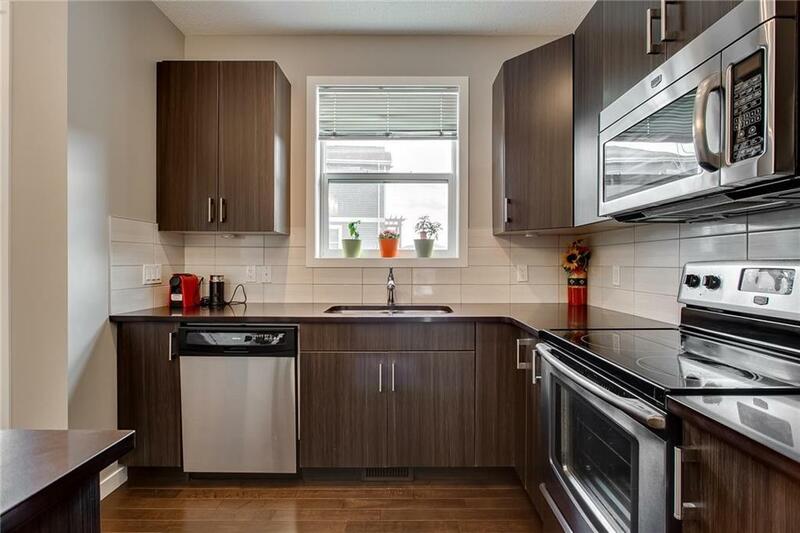 This recently JAMAN built 2 bedroom unit with more than 1,600 sqft living space has bright SOUTH FACING living areas. 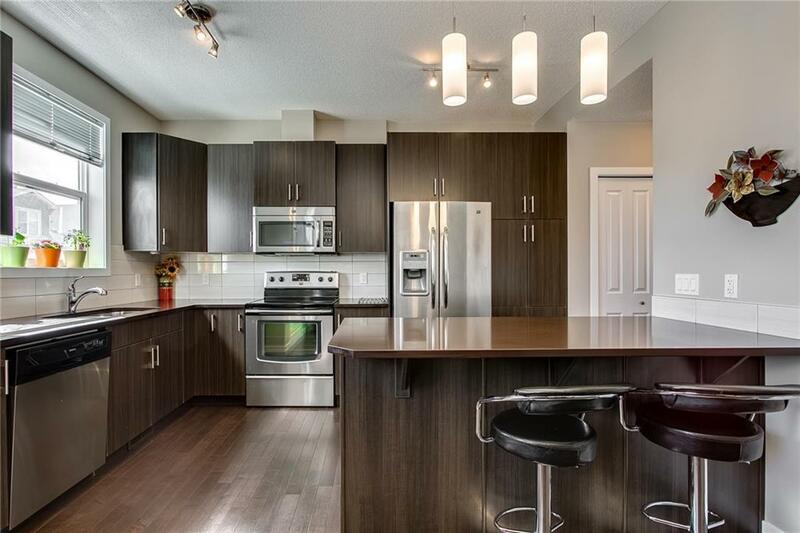 The beautiful town home offers a spacious floor plan with ample builder upgrades with DOUBLE ATTACHED GARAGE. 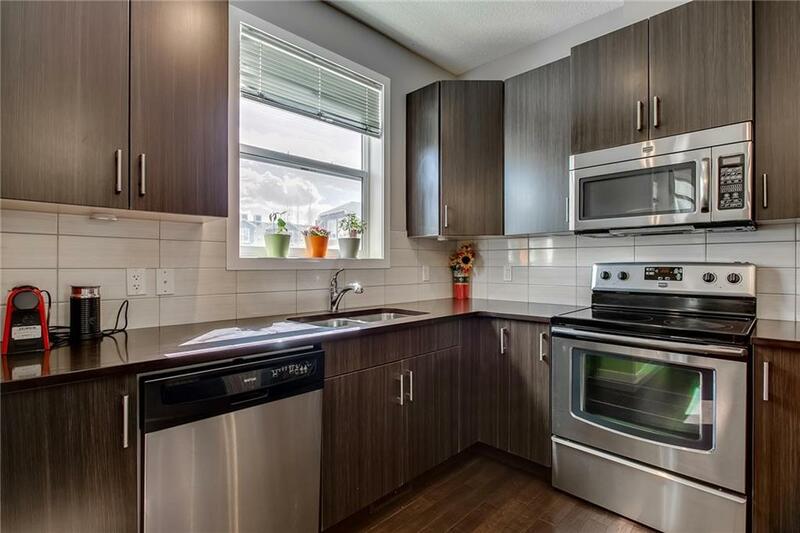 The main floor brings a large kitchen with upgraded cabinets, STAINLESS STEEL APPLIANCES and QUARTZ COUNTERTOPS, ceramic tile, and 9 ceilings. HARDWOOD FLOORS run throughout the main floor and cover the stairs from the entrance. Upstairs youll find two MASTER BEDROOMs, each with its own upgraded private ensuite and walk-in closet and convenient UPPER FLOOR LAUNDRY. The basement is FULLY DEVELOPED with a recreation room and tons of storage. 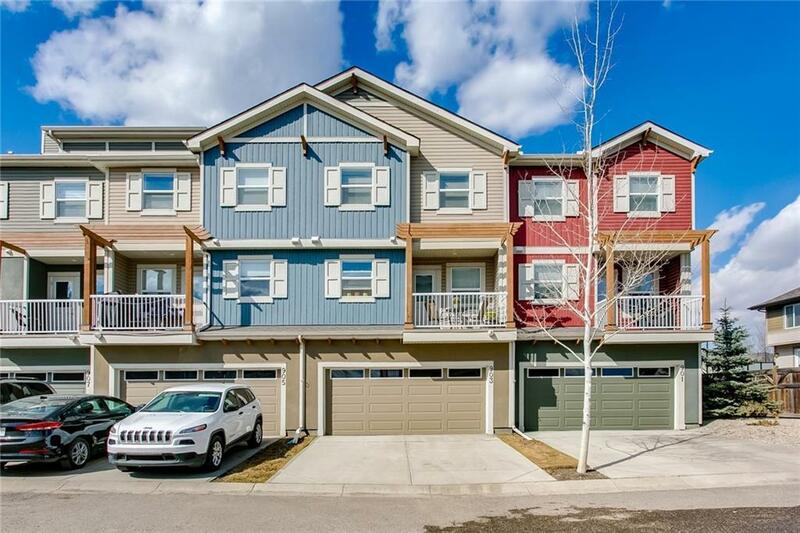 Located within walking distance to the HOSPITAL, SCHOOLs, TRANSPORTATION, restaurants, shopping, and easy access to Stoney Trail. Enjoy Auburn Bays lake access and many green spaces. Truly a home you will have to SEE TO BELIEVE!